Now that the winter is in full swing, get ready to feel freezing cold mornings, dark and stormy nights and slippery roads. In the winter the weather can cause a lot of issues for drivers on the road and the conditions are much more dangerous than they are during the summer. This is why it is super important to keep the car up and running and make sure that you look after it throughout these harsh months. Here’s what you can do to keep your car healthy during the winter. As you will know, the weather is much colder during the winter and this can cause us to end up struggling against harsh conditions and low temperatures on the road. One of the risks which can be run is the inside of the car freezing and preventing it from starting, and this is why antifreeze is so important. 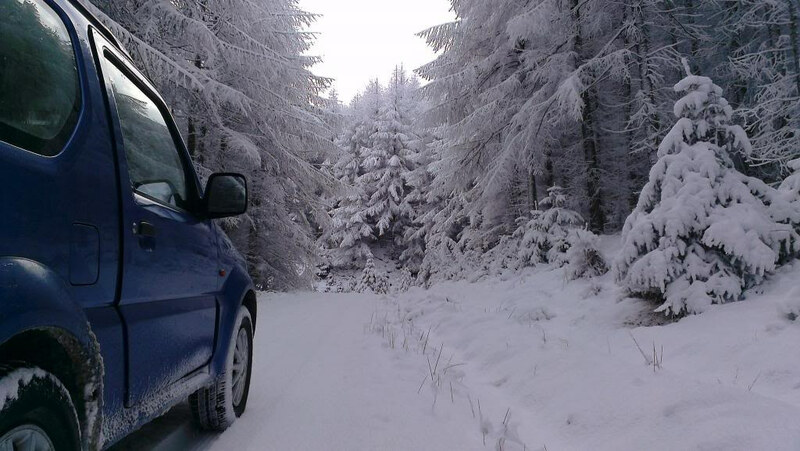 Before setting off for any journeys during the winter, take the time to check up on your antifreeze levels. This will make a big difference to the car and will allow you to enjoy a smoother drive on the road. The oil in your car is like the blood in our veins, it is an integral part of the car and it is something which we use every day to stop car parts from rubbing against each other and causing friction. Making sure that your oil level are ok is important for a safe drive and you can do this easily by checking the level on the dipstick. If the level is near to maximum, you’re good to go! One of the parts of the car which a lot of people forget about is the windshield wipers. After a long while and some wear, windshield wipers can become cracked and damaged and this will of course have an impact on how well they are able to wipe away water and debris as you drive. This is even more important at this time of the year because of snow, hail, sleet and rain which can all make it hard for you to see while driving. You can pick up windshield wipers from Costco and these will make a great big difference to your safety on the road. Whenever you are looking to travel on a long journey or you are thinking about driving in wet conditions, you will want to make sure that the tyre pressure and tread are both in good order. This applies whether you are in a car, bike, or truck and it will stop you from having an accident on the road and having to contact a motorcycle accident lawyer for help. Tyre pressure can affect your control on the road, and tyre tread is important for maintaining grip on the road. This is why it is always super important to check the tyres, inflate them and replace them if they aren’t up to scratch.